The rarest of all COPO Camaros, powered by an all-aluminum 427, could’ve been a street screamer. I drove the only one built at GM’s Milford Proving Ground, below, in 1969 and never saw it again. Chevrolet had a very effective “backdoor” approach to insuring its performance image. The process was called COPO (Central Office Production Order) and it essentially allowed for the building of non-standard cars. Dating back to the late-1940s, it was initiated to accept low-volume orders from fleet operators, law enforcement agencies and even taxi companies. A COPO number could cover a special paint color or interior trim, unique-duty suspension, or even a racecar! Some 1969 examples are: COPO 9560 ZL1 Camaro, COPO 9561 427 Camaro and COPO 9562 427 Chevelle. The rarest of all COPO Camaros was the one-off COPO 9567, a streetable ZL1 Camaro that never got beyond the Prototype stage. Chevrolet’s Vince Piggins was a master at working the COPO system and getting senior management to sign off on some of the wildest performance cars of the era. But even he couldn’t get it past the Pilot-build stage! 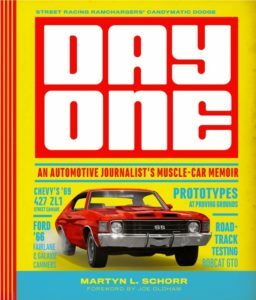 Chevy dealer and successful road racer Don Yenko worked with Piggins to get a few hundred 427/425 Camaros and Chevelles built. Yenko had a great relationship with Piggins and Duntov, and first tested the waters in 1968 by ordering 70 396/375 Camaros with specific options under COPO 9737, Yenko Sportscar Package. 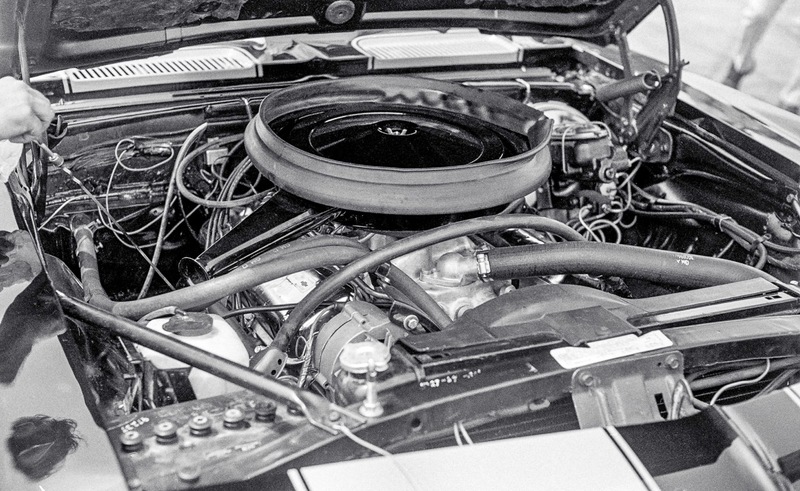 Almost all were re-powered by Yenko Chevrolet with 427 engines and sold as Yenko Camaros. Piggins also proposed building 100 street versions of a “milder” ZL1 Camaro under COPO 9567. Working with R.E. Marshall in the Passenger Car Styling Group, the one-off ZL1 street Camaro was ordered on March 24, 1969. Its MSRP was to be $8,581.60 for four-speed and $8,676.60 for automatic versions. 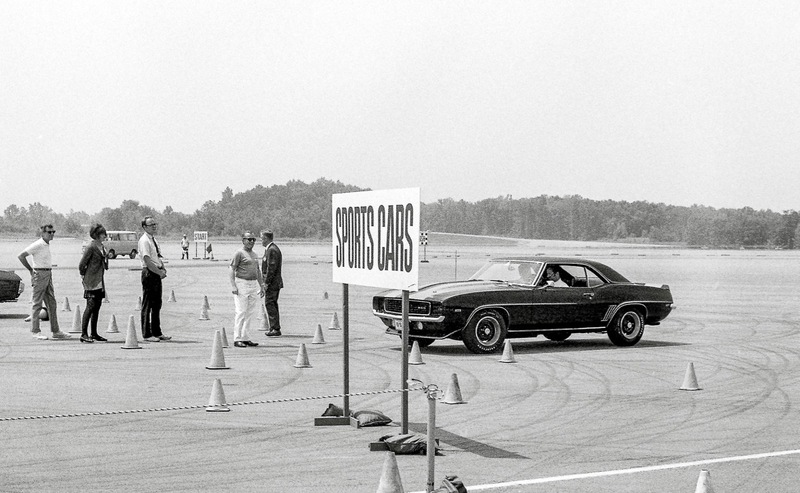 The Prototype Tuxedo Black COPO 9567 ZL1 Camaro was shown to the press at Milford Proving Ground, above, in the summer of 1969. It was a dynamite car, but its pricing would have made it a really tough sell. 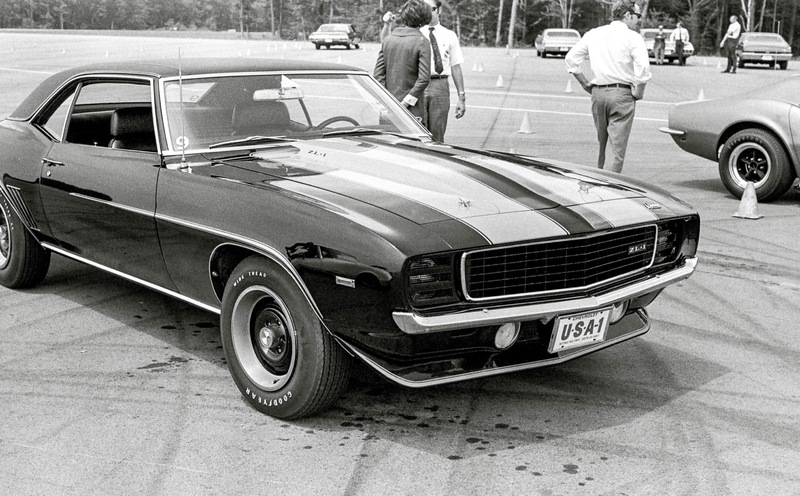 Whereas the “production” ZL1 Camaro – 69 built – was a purpose-built drag racing car and performed poorly on the street, the COPO 9567 Camaro could have been a serious challenge to anything coming out of Detroit. It worked on the street because the ZL1 open-plenum-chamber intake manifold designed for maximum efficiency under WOT (wide-open–throttle) was modified for the street Prototype They put a restrictive “wall” in the plenum chamber and re-jetted the Holley four-barrel to achieve low-end torque and drivability. And they installed a true dual exhaust system, not the single pipe system supplied on the racecar. They built the 69 ZL1 Camaros with single systems since Chevrolet knew the single pipe and muffler would be trashed in favor of competition headers/exhaust. 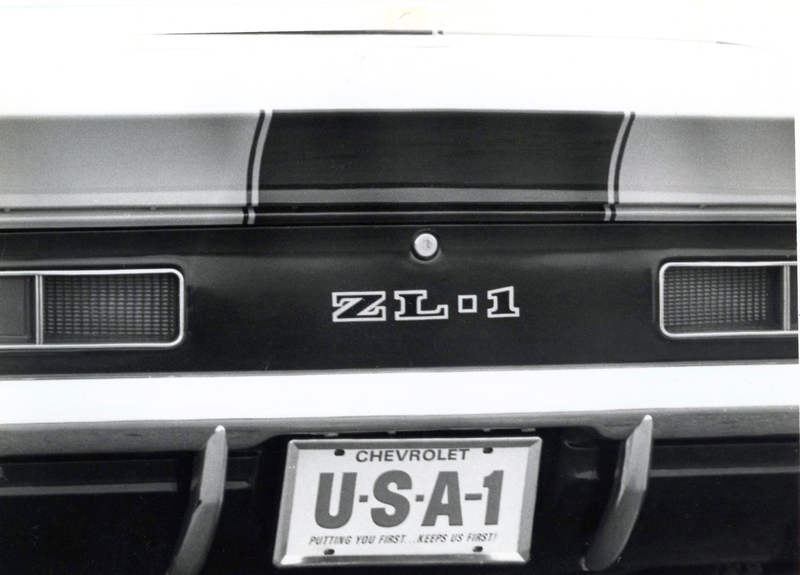 Since Chevrolet had difficulty selling the 69 ZL1 Camaro racecars, there wasn’t exactly a strong business case to support building 100 street versions. Maybe so, but the Prototype delivered a level of performance that would have elevated it to Top Eliminator status on the street. Oh, Man! It could’a been SO COOL! But $8,581.60 was over $3,000 more than a 1969 L71 427/435 Corvette. Yea, that would have been beyond “hard to sell”!